Vampires have all the fun! Wait, that's not a common saying? Oh well, we think it's true, even if we've never heard anyone actually say it. You may not have been born a vampire, but that doesn't mean you have to give up your dream of being a blood-sucking social elite! This Adult Dracula Mask changes your face into the classic Lord of Darkness himself, Count Dracula. 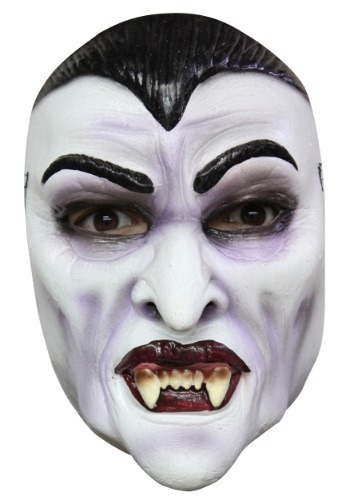 With hideous facial features and a set of deathly fangs, it's sure to creep out anyone who's afraid of vampires.